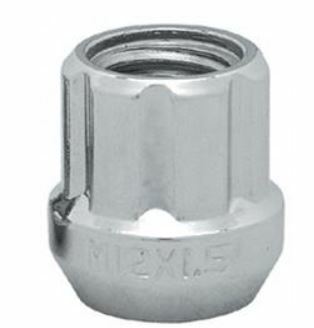 Lugs Nuts are made from quality carbon steel. Depth tensile strength, hardness and finish. Spline Lugs were specifically constructed to fit tuner style wheels that have small diameter recesses. In comparison to hex lug nuts, they feature seven splines on a closed-end design, have more gripping power for installation and removal, extended stud engagement and a larger seating surface.